Mirjam Wenzel is head of the media department at the Jewish Museum Berlin. She studied comparative literature, worked as a research research fellow at Ludwig Maximilians University, Munich, and as a curator for contemporary art. 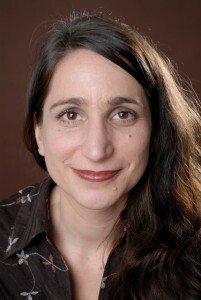 Her publications focus on Holocaust representation, critical theory and German-Jewish cultural history. Mirjam Wenzel completed her PhD thesis as a Leo Baeck fellow in 2006/07. beginning Holocaust discourse in Germany by elaborating on questions of guilt and responsibility as well as the need to evaluate the past in order to formulate universal, human values for the future.